The 1960s were a pivotal decade of the 20th century. As the 50s turned into the 60s nobody could have imagined the cultural explosion that was about to occur. 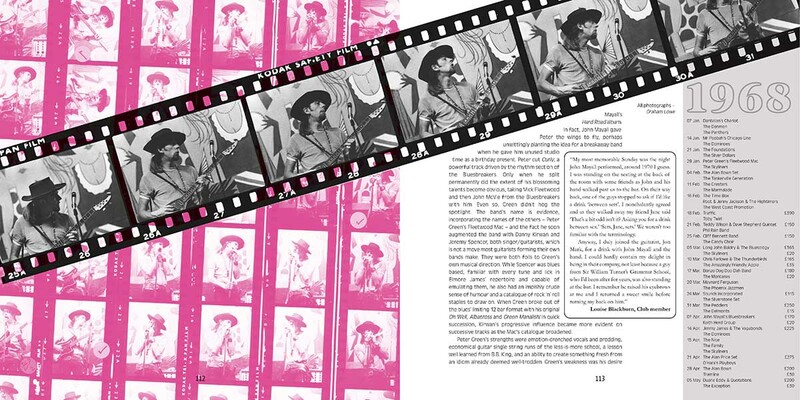 In the north east of England it wasn’t too hard to find a job, and teenagers, with their new-found spending power became the catalyst to drive a revolution in fashion, photography, movies, entertainment venues, and in fact the very way we would look at the world. And yet even beyond as we dared to conquer space. 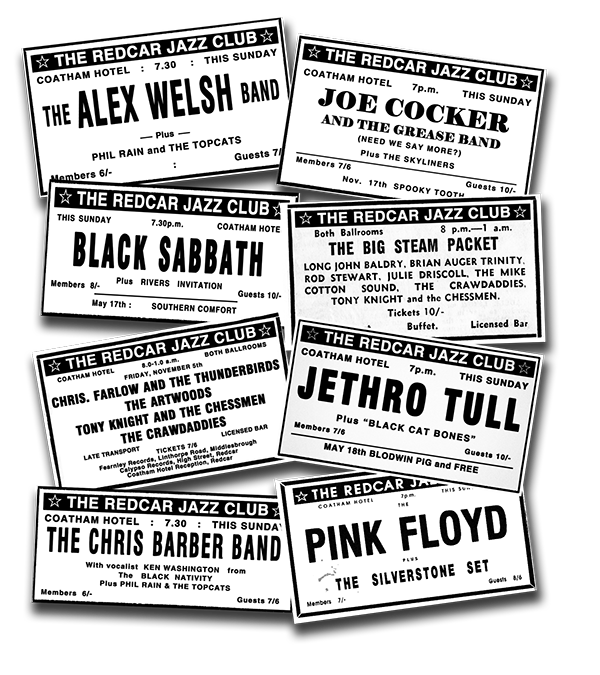 Catching the very beginning of that ripple, the Redcar Jazz Club surfed the foaming wave of progress from the late 1950s through the 60s. 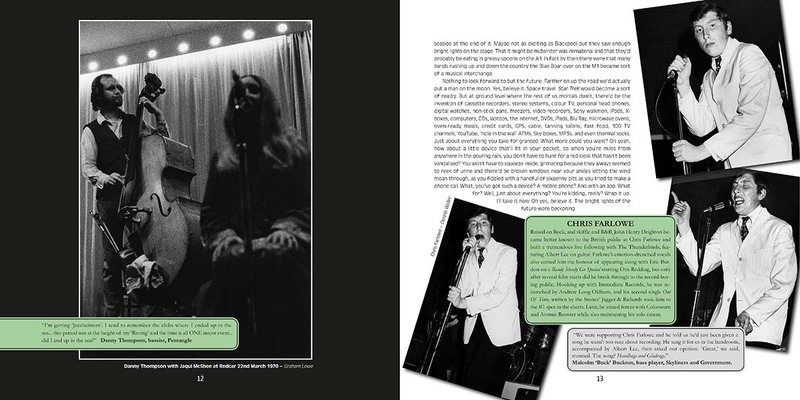 Born in 1958, the Jazz Club’s name quickly became a misnomer as the initial staple of Trad Jazz later incorporated R&B and Blues, until the future attractions list in the late 60s comprised almost all Rock and Progressive music acts, through into the 70s. But where there were only memories, we have the photographs. In an age when almost everyone has a camera phone and snaps off pictures indiscriminately, it seems almost inconceivable there was a time when we didn’t. In the 60s film processing was expensive, and owners of professional 35mm cameras were few and far between. Fortunately Dennis Weller and Graham Lowe - both then amateurs - did. 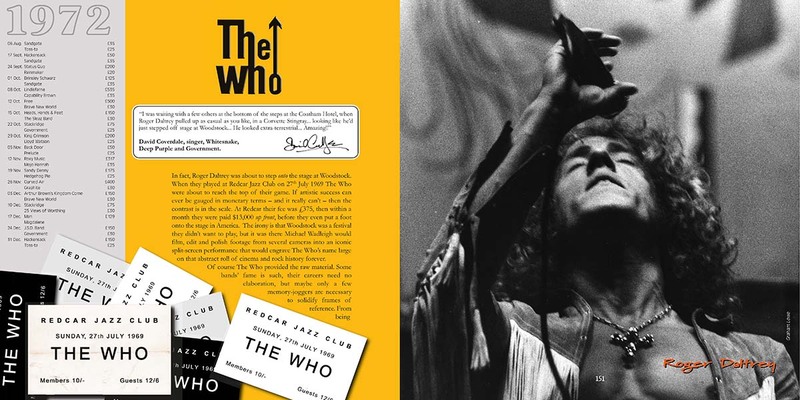 Club committee member Dennis felt compelled to create a visual record of the Jazz Club’s artists during the jazz and R&B periods, then the club’s move towards Rock coincided with photography student Graham’s growing interest in capturing live performances. Between them, they shot film at many of the club’s concerts. Chris Scott Wilson’s interest in the club was ignited one night in 1966 when he went to see a band he’d never heard of. 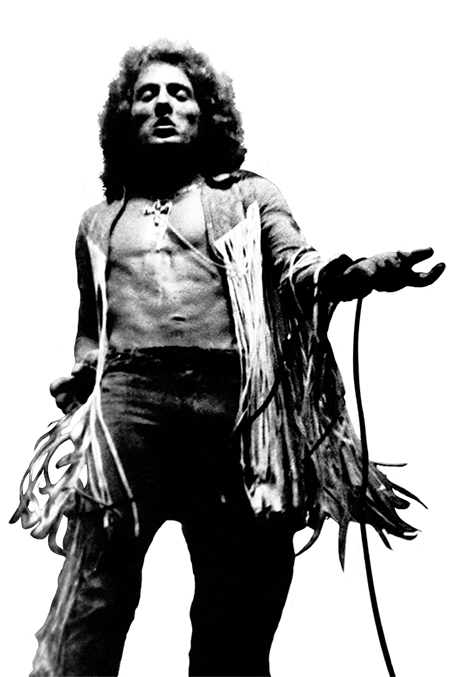 Underage, he sneaked in to watch Eric Clapton, Jack Bruce & Ginger Baker, billed as The Cream. That night changed his life, the first of many spent at the club. 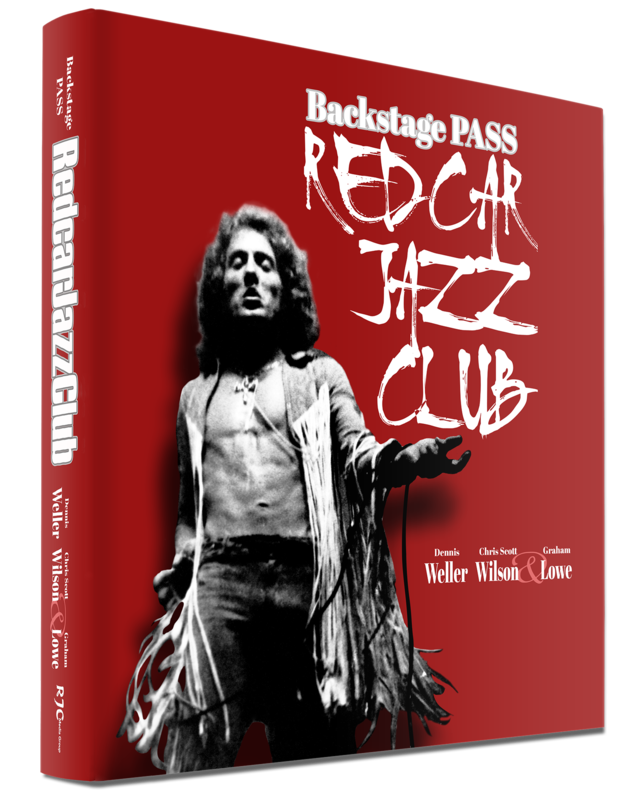 In this book, Dennis, Graham and Chris collaborate to conjure vivid memories of those exciting concerts, interweaving social commentary with the Redcar Jazz Club’s story, all lavishly illustrated by many previously unseen stunning photographs. "Can’t put it down. You Guys deserve an award ... Hard to imagine now how vibrant the 1960’s were in this area ... you have brought back all those memories, and reminded me that I was actually young once. 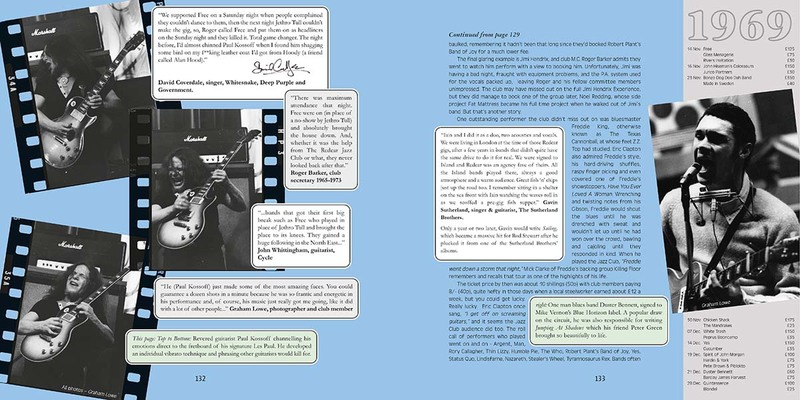 Many Thanks"
"So pleased you have made this excellent book, So many memories of great gigs ......These were the formative years that led me to a career in the music business that lasted 44 very happy years. 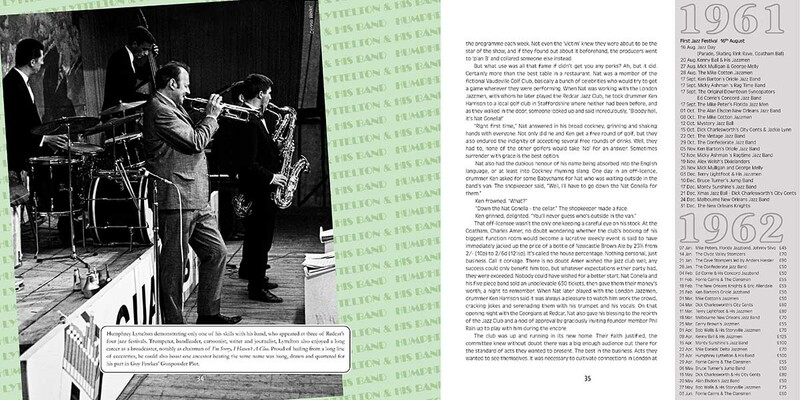 Well done to everyone involved"
Received it today … looks marvellous. Christmas present for my dad and I'm sure he will love it. The book arrived on Tuesday and what an excellent publication it is. Congratulations on a first rate product, full of so many memories and nostalgic anecdotes. I wish you all every success with the sales and there must be thousands out there, just like me, who remember what Sunday nights were all about............ a top band and a few bottles of Newcastle Brown. Cheers and thanks again for the memories. Would make An ideal present..., can't recommend the book enough.